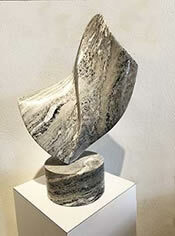 "My sculpture is the result of working and experimenting with various materials and methods of carving. 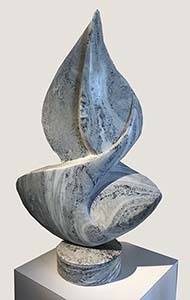 Seventeen years of cabinetry and wood sculpture evolved into stone carving which I have been doing the past twenty-five years. 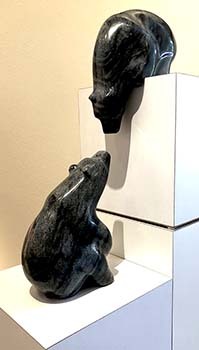 I work with the natural texture and color of the stone to create representative sculpture of animals, human forms and abstract shapes." 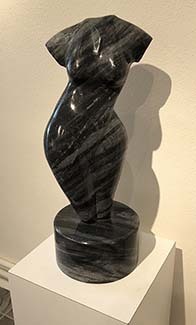 His Cararra marble comes from his many trips to Italy, resulting in importation of tons of Italian and other European marble for carving at his Florida Studio. 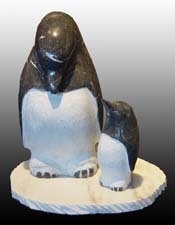 He also works in domestic marble and Indiana limestone. 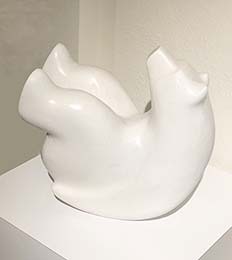 Most pieces are mounted on rotating bases for better viewing. 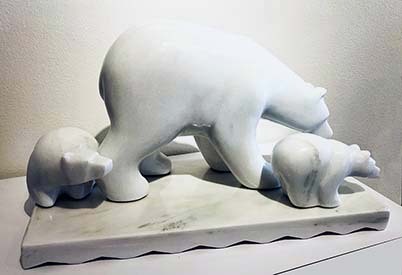 The sculptures range from tabletop to monumental size for indoor and outdoor display. 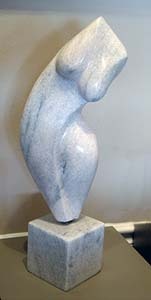 Gert Olsen was born and educated in Denmark. 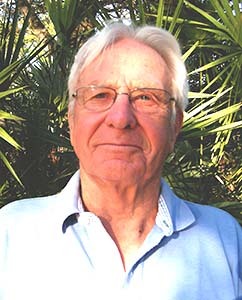 He immigrated to Canada in 1956 then to the United States in 1962 where he gained citizenship. He as been a resident of Florida since 1984. 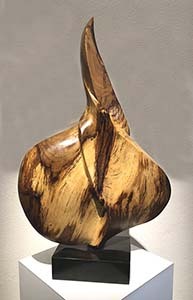 Gert started his career as a woodcarver which expanded into church carving. He transitioned to stone in the late 70's. All of Olsen's stone is personally picked from quarries and stone yards in the United States and Europe. 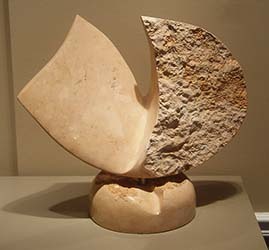 The stone block is initially cut and shaped with modern saws and cutters, then further shaped with traditional carving equipment, including chisels both pneumatic and manual. The process continues with sanding, using many grades of sandpaper and culminates with polishing. 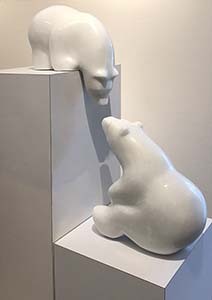 One of his larger commissions is a larger-than-life bear family at the Nalples Bear Museum, Naples, Florida. 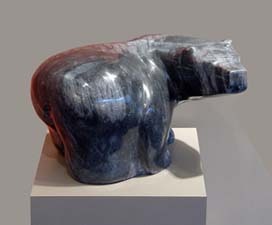 He has work in numerous private and corporate collections. 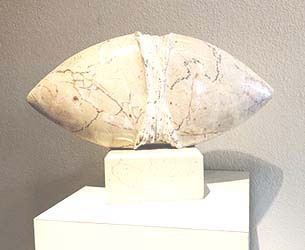 Olsen has shown his work all over the United States at major art shows and has had work shown in galleries in New York, Michigan, Pennsylvannia, North Carolina, Virginia, Colorado, Illinois and Florida. 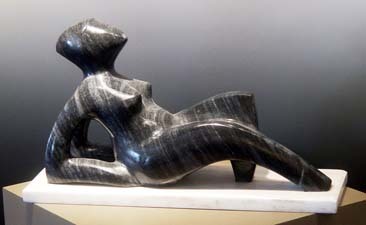 His work is in art collections in England, Switzerland, France, Germany, Japan and his native Denmark. 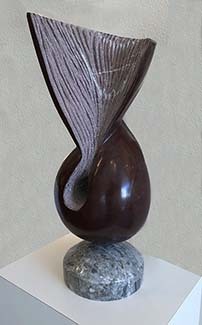 He is a member of the International Sculpture Center, Washington, D.C. and has received numerous awards at fine art shows.